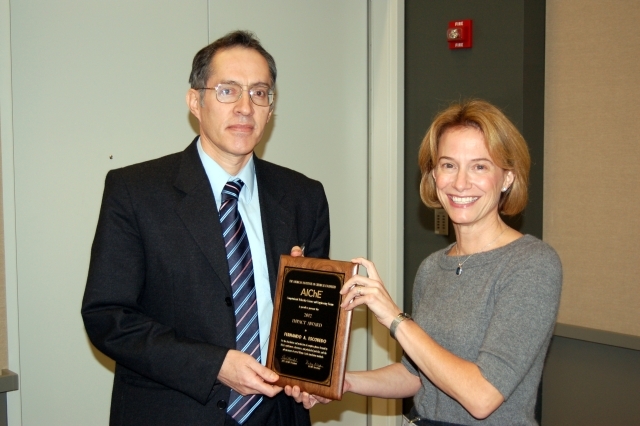 The CoMSEF Executive Committee is pleased to announce that Professor Fernando Escobedo of Cornell University has been selected as the recipient of the 2012 CoMSEF Impact Award. This annual award recognizes outstanding research in computational molecular science and engineering and will be given to Fernando during the CoMSEF General Meeting at the AIChE Annual meeting in Pittsburgh. He will also present a talk on his research at the CoMSEF Plenary Session at the AIChE Annual meeting. 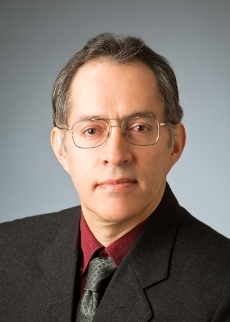 Fernando is the Marjorie Hart Chair of Chemical Engineering at Cornell. He received his Bachelor's degree in Chemical Engineering at Universidad de San Augustin, Peru, a Master's degree in Chemical Engineering from the University of Nebraska-Lincoln, and a PhD in Chemical Engineering from the University of Wisconsin-Madison. Fernando has made important contributions to the development of new computational methods, which he has then applied to the solution of important problems in the area of complex fluids, including polymers, colloids, and peptides. He is receiving the CoMSEF Impact Award â€œFor the elucidation and prediction of complex phases formed by block copolymers, elastomers, and polyhedral particles, and the advancement of novel Monte Carlo simulation methods". CoMSEF Impact Award recipients must be within 15 years of completion of their highest degree and be current members of CoMSEF.